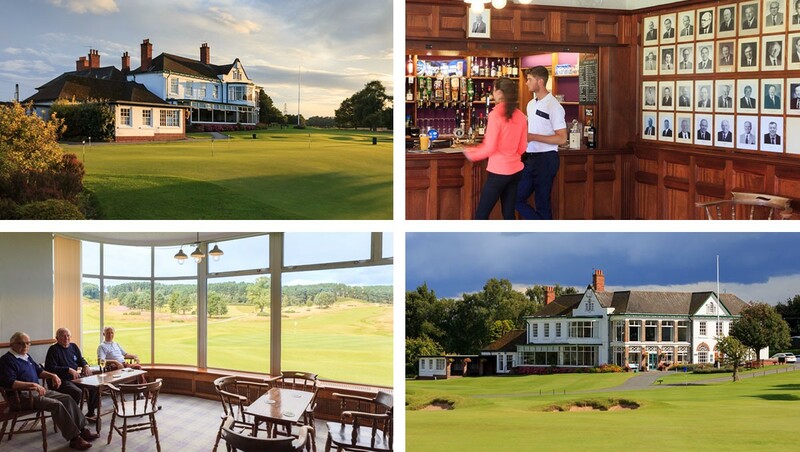 Originally founded in 1887 as the Nottingham Golf Club, in 1893 the club changed its name to the Notts Golf Club and although Notts is the abbreviation of Nottinghamshire, following the name change Nottinghamshire Golf Club was used in all correspondence. Notts GC moved north in 1901 to a new course and adopted the name Hollinwell after the Holy Well on the course, at one time used by the monks of nearby Newstead Abbey. The club retains the formal name Notts Golf Club - Hollinwell referencing both the club and the course. The City of Nottingham has two of the earliest known sites of golf in England. In 1864 John Doleman, a Scot from the famous golfing town of Musselburgh moved to the area and started playing golf on two sites near the River Trent. Doleman persuaded a local man to join him but the local authorities informed the men that they should desist from playing this hazardous game near the general public. Golf was indeed alien to the English at this time. They met another Scot John Harris, an architect who had moved to Nottingham, and a club was formally established in 1887. They were joined by the Right Reverend A Hamilton Baynes who arranged for an inaugural meeting at his house. The Public Parks Committee then agreed that they could use land at the Queen’s Walk Recreation Ground and a 7 hole course was laid out. The golfers promised not to interfere with football or cricket matches that may be taking place, but during the summer they received considerable flack from passing members of the public for whom this was still a strange and unknown game. However, within a few months the flat course offered an insufficient challenge to the golfers so they moved to Bulwell Common. The land there was sandy, gorse covered and considered more appropriate for golf so a new 7 hole course was laid out. This new course was conveniently near to Bulwell Forest Station on the Great Northern Railway. The station master Mr Williamson allowed his house to double as a clubhouse and players kept their clubs in a cupboard under the stairs. The station master’s wife and daughter would provide tea and refreshments while his young son Tom Williamson would sit under the kitchen table cleaning clubs, all were unaware of the incredibly long association Tom would eventually have with the club. In 1894 the course was expanded to 18 holes and soon 3 clubs shared the course. In addition to the increasing number of golfers playing the course, a considerable volume of non-golfers were also using the common for recreation as the city suburbs expanded. It was not unusual for golfers to find a family picnicking on a green at the weekend! In 1897 the City Council proposed building a cemetery on the common and though this idea was abandoned this, along with the crowded nature of the course, spurred a few forward thinking members to begin scouting the surrounding countryside for a new site. One member Mr C R Hemingway, while constructing a tunnel for the Great Central Railway, noticed the bracken covered slopes at Kirkby Forest. They were uncultivated and had no attraction as agricultural land but the sandy soil was ideal for golf. The land was part of the estates owned by the Ecclesiastical Commissions close to Newstead Abbey, once the home of Lord Byron, and the “hills of Annesley, bleak and barren”. This group of members sought to relocate to Kirby Forest and an agreement was reached to lease 217 acres of land from the Ecclesiastical Commissions on condition that there be no play on Sundays. Willie Park Junior was engaged to inspect the land for its suitability and then to lay out an 18 hole course. Arrangements were made with the Great Central Railway to build a station on the line close to the course and provide a convenient service of trains for a fixed reasonable fare between Nottingham Victoria Station and the new station. A telephone line was installed from the signal box to the clubhouse to notify members of approaching trains. In October of 1900 the proposals were formally bought before the club at a general meeting at The George Hotel, Nottingham to move the club from Bulwell Common to the new course at Hollinwell. Proposals were carried by one vote, which was just as well as work had already begun. A second meeting was held a year later when proposals were finalised, and the members resolved unanimously to move, with the name Hollinwell being formally adopted at a committee meeting in December 1900. 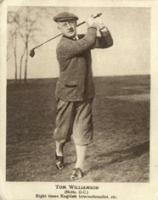 The new course was eventually opened in November 1901 having cost £4,850 to create. In June 1924 the club purchased the land from the Ecclesiastical Commission thus allowing play on Sundays for the first time at their new home. Though the course drains well, the land in front of the 4th tee and to the left of the 18th was often waterlogged. A water diviner in 1931 indicated an underground stream and a bore hole was created which in later years became the pond seen there today. In January 1954 a Lancaster bomber belonging to Rolls Royce, crashed near the 14th hole. Lady golfers on the course at the time helped the slightly injured pilot and 3 technicians from the plane. As a thank you Rolls Royce provided the club with a trophy which the ladies now play for. The original building at Hollinwell was destroyed by fire. A new construction in 1925 was opened by the Duke of Portland, owner of Welbeck Estates in The Dukeries, and built by Gilbert and Hall to exacting standards. The only surviving relic from the fire was the bronze memorial plaque commemorating the members who gave their lives in World War 1, this was incorporated into the new clubhouse above the lounge fireplace. The building has been altered over the years but still provides magnificent views of the course and entrance drive, much to the enjoyment of members and visitors alike.